Experience Israel with people who you can count to eat deep dish pizza with you, go for walks down Lake Shore Drive, & debate whether the Cubs or Sox are the best. 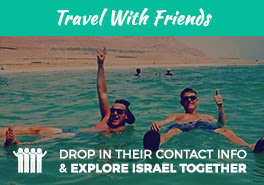 Not only will you have an unbelievable adventure in Israel, but you’ll be able to network, meet new people, and have reunions with your Shorashim family in Chicago upon your return! This is the trip for Chicagoans, so get ready to explore Israel with Israelis for your whole experience. Flights depart from Chicago! "Birthright was LIFE CHANGING! I fell in love everyday with something or someone new. I am a different, smarter, stronger, verison of the person I was when I arrived. I am forever thankful for this ten day experience."